I’m learning to be a better gardener slowly but surely. 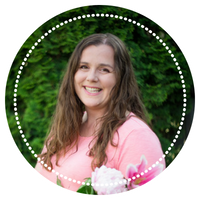 Along the way I like to share my experiences and recipes that use up all the yummy garden goodness! Here’s a few of my adventures so far. Can you guess how many ferns I pulled out of our lawn and flower beds? The count is close to 250 so far. 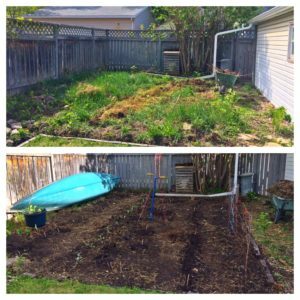 Here’s how we transformed our growing space one May Long Weekend. Curious about what perennials you should avoid planting to spare yourself from an overgrown mess? Here’s my most popular post about the 28 Perennials You’ll Regret Planting. 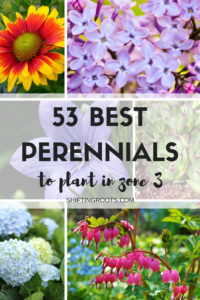 To be fair, I’ve also come up with a list of the 53 Best Perennials. P.S. Do you have an awkward side yard? I’ve got the solution for that landscaping problem here. We were also blessed with eight peony bushes in our yard. 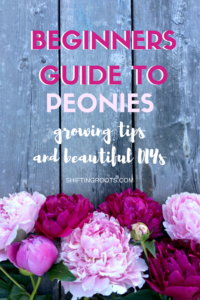 I’ve had a blast creating things with them every June and came up with this handy guide to peonies. When I was a child I resented our huge garden. Now that I’m an adult, I can’t make my garden big enough. Oh the irony!! 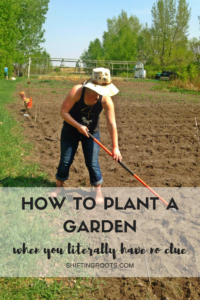 Here’s my guide to gardening when you have no clue, as well as a bit of advice I wish I had known sooner. 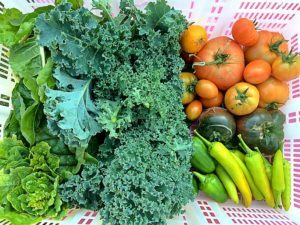 Ever wonder how much your urban garden can grow in one year? 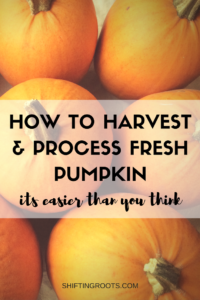 Read about our harvest this year and see in pictures exactly how much you could grow. 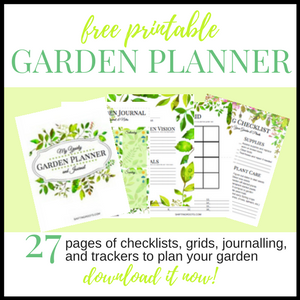 For those of you who like to do your research, I’ve compiled a list of helpful gardening books for the prairie gardener. Homesteading skills don’t require a huge plot of land. 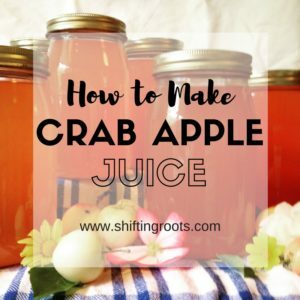 Anyone can learn how to make crab apple juice, pick and process fresh berries, or make pumpkin puree. You’ll also want to check out this delicious maple crab apple butter! I also have tips for sour cherries, raspberries, and crab apples too! I have A LOT of pumpkin recipes on the site. The best ones are this pumpkin bread, these pumpkin spice cupcakes, and these easy pumpkin seed snacks. Have a gardening question you’d like answered? Email me and it might end up as a post in the near future!